Let's keep going putting the Bible to the test. Let's talk about the story. Is the story believable? This is another test of truth that we ourselves face everyday. This got me thinking about my son Jacob. Jacob is seven years old and he is full of energy. He's got a lot of stuff going on there, like losing his teeth, which as you know is a typical kid thing to do at that age. He is now missing his two front teeth. He was excited when he lost his first tooth last year because he was going go put it under his pillow for the Tooth Fairy. He was very excited about that. And so, he puts the tooth under his pillow. Now, I'm not a bad parent, really I'm not. But, every now and then I am forgetful. I went to bed that night and when I woke up the next morning as I lay there, it just hit me like a bolt of lighting — oh my goodness, the tooth is still under the pillow and I didn't put any money there! I'm sorry if I am spoiling it for you: Tooth Fairy = not real. Sorry. But, I realized I hadn't put any money under his pillow. I checked and he was still asleep, so I still had time. I grabbed some quarters and snuck into his room all ninja like. I slid the money underneath his pillow thinking everything was good. I just had to get that tooth. I was feeling around, but couldn't find the tooth. I was probing and probing when all of a sudden Jacob wakes up! He turns around and asks, "Dad, what are you doing?" Well, I thought quickly and answered, "Buddy, I was so excited to see what the Tooth Fairy would bring, I just couldn't wait." So, I pulled the pillow back and we marveled that the Tooth Fairy left him some money. She even left the tooth so he could save it as a keepsake. What kind of awesome Tooth Fairy is that? Kids are so gullible, you've got to love it. My point is that they can hear the silliest stories and still believe them. Now, we are not going to get into the morality of me telling such an obvious lie. That is for another time. But, the issue here is believability. For that we have to focus on the everyday test of truth. 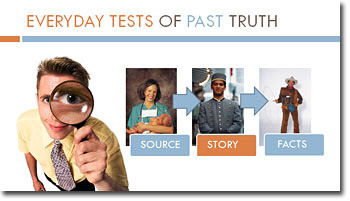 Test #2: Is the story believable? I believe some things because they sound realistic. There is just that ring of truth when I hear a story. The story seems to match the things that I've seen in real life, and the details are convincing enough in everyday life. I decide if a story is believable, so I wonder what happens when I apply this same test to the Bible. What happens when I apply this test to the Bible? Does it show me that the Bible is faithful to the past? I am going to have to say, "Yes, it does!" Consider the following, the details of the Bible stories fit known history. If it were a lie I would expect the Bible to be filled with made up facts along the way. But, historical and archaeology evidence verifies much of what we see in the Bible. It contains real people, and the existence of these people groups that it describes were out there. People from the Hittites to the Romans were real people. The leaders it discusses such as Cyrus, Nebuchadnezzar, Caesar Augustus, Pontius Pilot — they are all real people we can document. The Bible describes real places. You go to Israel today and you can find Jericho, Jerusalem and the Jordan River. These places are in actual existence. It's not talking about Narnia, or Hogwarts or Oz. This is real stuff. These are real places! There are also real events that happened. Now, not everything in life gets recorded for posterity. I mean, mankind won't know what you got for your birthday in 500 years, but a lot of major events did get recorded. We look through details in the Bible that are corresponding. We see the capture of Jerusalem by the Babylonians in 586 BC. It happened. It matches up. We read about the expulsion of Christians and Jews from the city of Rome in 49 AD with the Edict of Claudius. It talks about it in the Bible and history backs it up. It happened. Those things match up. The details make the story believable. We do a little more digging and we find out the characters are all too human. When we start looking through the Bible, if it were false, I would expect the people it described to be too good to be true, at least when it is talking about the heroes along the way. But, much like the authors who weren't too interested in self-promotion, we find out that the Bible is not too interested in putting an inflated view of its subject matter out there. The characters are believable guys. King David for example was a real hero, one guy that we look to and exclaim, "This was a man of God. He was a great guy." And yet, it also talks about David being an adulterer and arranging a murder. These are not usually qualities you want out of a hero, but there they are for us to read. Abraham is the father of our faith, and yet it talks about how he was out there lying to protect his own skin. We see other heroes of the Bible like the Apostle Paul who was one of the most influential Christians to have ever lived. His story starts off with him being a strict persecutor of Christians. He approves the death and imprisonment of those who believe in a resurrected Christ. This is not exactly the picture of a guy that we would want running around for us out there. But, the Bible shares his whole story. The characters of the Bible are way too human, and so the people are believable along the way. We also find out that the story has authentic details. 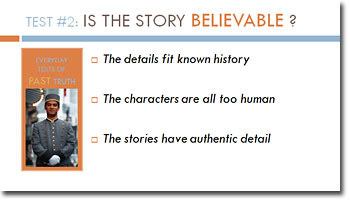 Believable stories have believable details with stuff that you would have no reason to make up. There are just plenty of details in the Bible that the authors would have no reason to make up. In John 21:11, it talks about a fishing incident involving Jesus. The story just throws in the detail that the fishermen caught 153 fish in the net. Okay, 153 fish, why would anyone make that up? It is just there. 1 Chronicles 27:30 talks about the fact that Obil the Ishmaelite was in charge of King David's camels and Jedeiah the Meronothite was in charge of the donkeys. And, we care why? Who would make that up? It just seems like an insignificant detail, but there it is. In the final chapter of Colossians, Paul passes on greetings from random people like Aristarchus, Archippus, Demas, and Justus — people we don't know anything about. We don't know much about these guys. Why wouldn't they if they were making this stuff up not include influential people. Peter says "hi." Jesus says "hi." Who really is Justus? Who is Demas? Who is this guy taking care of the camels and the donkeys? Nobody cares about them. Why include these factoids unless they're true? These real life details help me realize that the story itself is believable. I will throw in this disclaimer: asking if the story is believable can be hard for a book that talks about the miraculous, such as a virgin birth, an Ark, a worldwide flood, and resurrections. If the whole thing were just a bunch of superstitious stuff along the way like Greek mythology with fictitious characters and places and events, then okay, it would be fine to dismiss it. But, the fact that the authors are so credible in their details, matching history, giving us realistic humans, and sharing details that no one makes up — that makes it easier for us to conclude, "I think they are telling the truth. I don't think they are making this up along the way." If the storyline is about a God who interjects Himself into history, then this could actually be plausible. So, based on the details of the story, the Bible seems to be trustworthy. Do I trust it? Yes, I do! If you want a guarantee concerning the Bible, consider this one: The present military action in Libya whether U.S. or an exclusive N.A.T.O. operation will fail to not only destroy their military power yet also remove Ghadafi. How do I know this? Simply because the leadership and military might must remain in Libya to join with a North African alliance as part of the Gog/Magog coalition against Israel. Keep watching the news, soon, Turkey a present N.A.T.O. member, will soon show where their allegiance lies as another member of the Gog/Magog alliance. The Bible is true and all will soon see this for themselves. It's funny but the one thing that struck me in the article was "Now, we are not going to get into the morality of me telling such an obvious lie." (about the Tooth Fairy). Give me a break!!! Anyone who would say telling a kid there is a Tooth Fairy, Santa Claus or Easter Bunny is immoral is off their rocker! Get a life! Then he says "How many of you were speeding to get here this morning". To compare speeding to lying, stealing, etc. was nuts! Especially since the speed limit increased in California. Oh, so when I went 65 when the limit was 55 I'm a sinner but now that the limit is 65 I'm not a sinner. Geez Louise! Anyone worried about the Tooth Fairy or speeders on the freeway as their examples of "immorality" need to get a grip. Billy, you do know when someone is joking, right? :) - see the smile? particular articles are leaving me 'cold' and bored. It has dawned on me that it might be because this gent is a 'ADULT Education Minister'? Praps I am well and truly into my second childhood - yawn, figit? Concerning Turkey. Last nights news, PM Cameron is backing Turkey to finally be admitted into the E.U. It makes an interesting scenario come Gog Magog etc; will that mean ALL Europe would also be backing the coalition to attack Israel? Quite worrying to say the least if it comes before the Rapture? Worry not, Sue, Steve's laying the foundation for the Bible prophecy related topics to come. 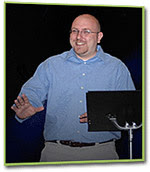 Steve was my Bible study "pastor" for 6 years and his lessons were seldom if ever boring. The EU accepting Turkey? I thought Cameron was against the Islamic tide sweeping the UK. Bringing Turkey in would be like increasing that tide into a tsunami! Fings they are a changing!!! LONDON, March 31 2011(Reuters) - British Prime Minister David Cameron said on Thursday the case for Turkey joining the 27-nation European Union was clearer than ever. "The case for Turkish membership of the European Union in my view is clearer than ever, for increased economic prosperity, for a bigger market for our goods and services, for more energy security and for real benefits for the EU's long term stability," Cameron said. "I also believe the accession process itself is a catalyst for change. I will continue to champion Turkey's accession," Cameron added. Cameron was speaking during a news conference with Turkish Prime Minister Tayyip Erdogan. It is clear at this time that the United States has withdrawn from any further military action against Libya. U.S. fighter jets, bombers, and naval vessels have pulled out, with it goes 80% of the N.A.T.O. hardware arrayed against Libya. The N.A.T.O. operation will soon expire, France and Britain are looking for a way out under a declared cease fire. Just as I posted earlier, the Bible is true beyond measure, 80% of the Libyan military remain intact along with the leadership. For further analysis you can reference the Debkafile intelligence digest for 3 April. Regardless of the wishes of N.A.T.O. or the E.U., Turkey will soon make their alliance with Iran known. Turkey as a member of N.A.T.O. had agreed to offer their services to act as a buffer between the rebels and the Gahdafi military forces. The areas in which Turkey had chosen to secure were critical for Libyan economic interests. In addition recently Turkey forced an aircraft to land enroute to Syria filled with Iranian weapons. I can bet the bank that this was to prevent other N.A.T.O. members from capturing the cache and that all cargo will find its way to its intended destination, Hezbollah and Hamas. Turkey was more than willing to secure Libyan interests, and Iranian interests as well. There can be no doubt prophecy will be fulfilled and as Passover approaches it will become even more evident. When the Arab/Islamic nations are done targeting their leadership, their leadership will turn the hatred of people to a new source. With nationalist rage, their new source of hatred will return again as the Jew and the Jewish State of Israel. Gog/Magog is coming, the storm clouds are now arriving on the horizon.